In “The Load-Out,” Jackson Browne sings about traveling from town to town and the crews who set up and take down the gear for each show. 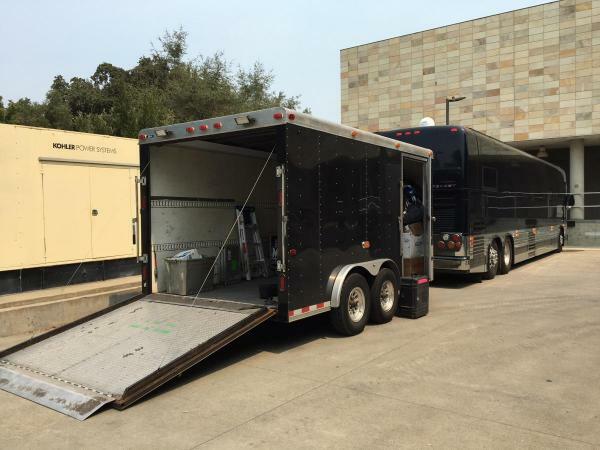 Although the Mondavi Center maintains a large inventory of stage equipment, a lot of performers prefer to bring specific items for their shows. How they move their stuff is as varied as the artists’ performances. Below are some photos of what we’ve seen out in our loading dock recently. 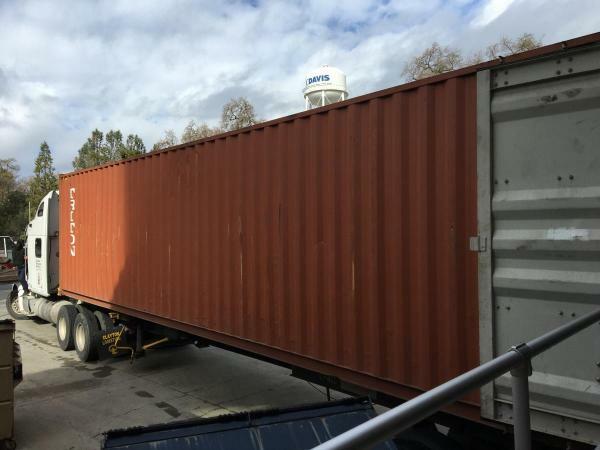 The Compañía Nacional de Danza needed a cargo container to bring their sets and costumes over from Spain when they performed here last March. 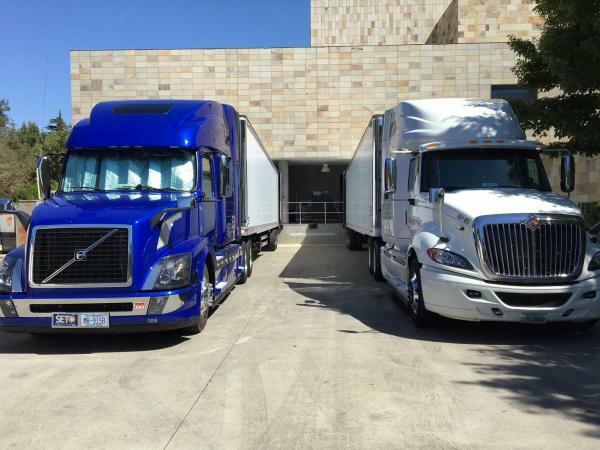 Lyle Lovett used two tractors with 53' trailers to haul his touring equipment here overnight from Salt Lake City. And the Punch Brothers only needed a small trailer that was towed by their bus, while other performers just need vans to get their gear to Davis. Trucks, buses, and vans ensure that their equipment also makes it to the next town where they’re scheduled to appear. Lyle Lovett and his Large Band used two 53' semi trailers.